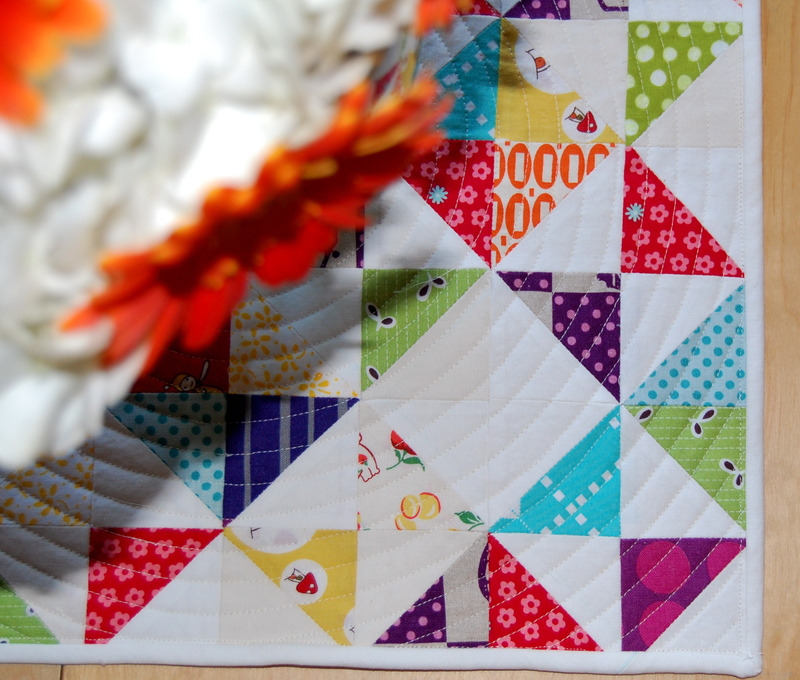 Scrappy HST Sampler Mini- Finished! Happy Friday to you! I didn’t get a lot of quilting done this week but I did manage to put some binding on the little scrappy HST mini that I finished a week or so ago. The original plan for it was to make it into a pillow, but I decided to turn it into a little patchwork sampler instead. Not exactly sure what I’ll do with it yet. It seemed like a nice place home for my Valentine’s Day Bouquet from Mr. J.
I really had fun making this little piece! I am trying to build my “point matching” skills and this was a fun little mini for me to do that with. I realize that it could serve as a nice table “rug” for our family style dinners. Whatever purpose it ends up serving for our family is yet to be seen, but it sure was a fun way to practice some much needed skills. 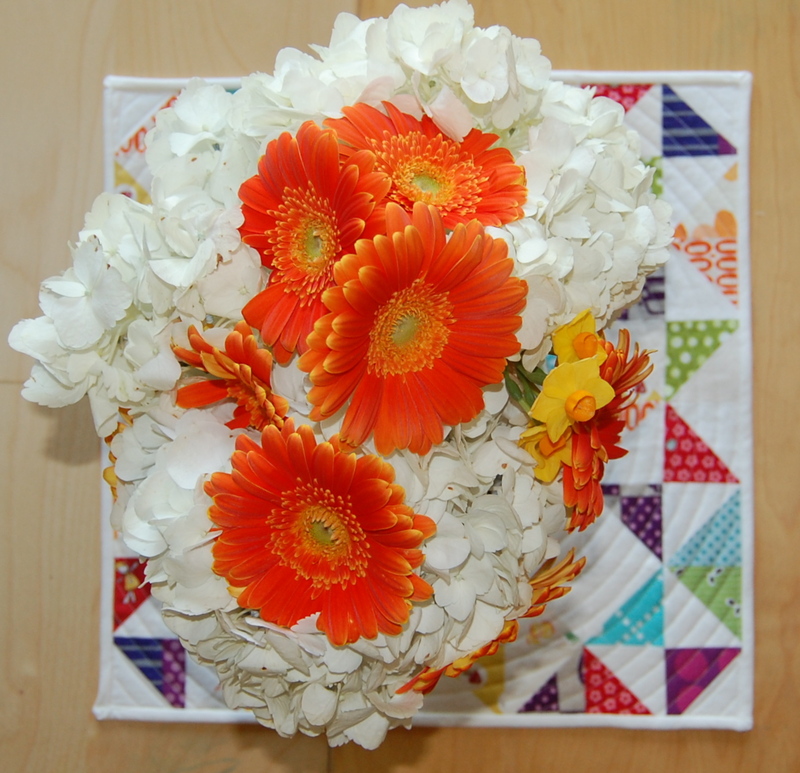 I’m linking up with Crazy Mom Quilts for Finish It Friday. 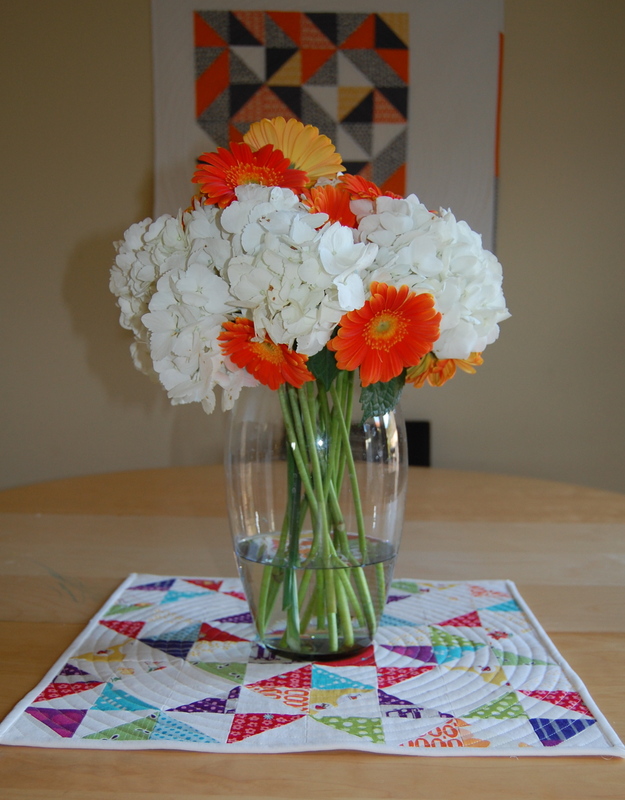 Very sweet and you did that fabulous quilting again! Lovely! 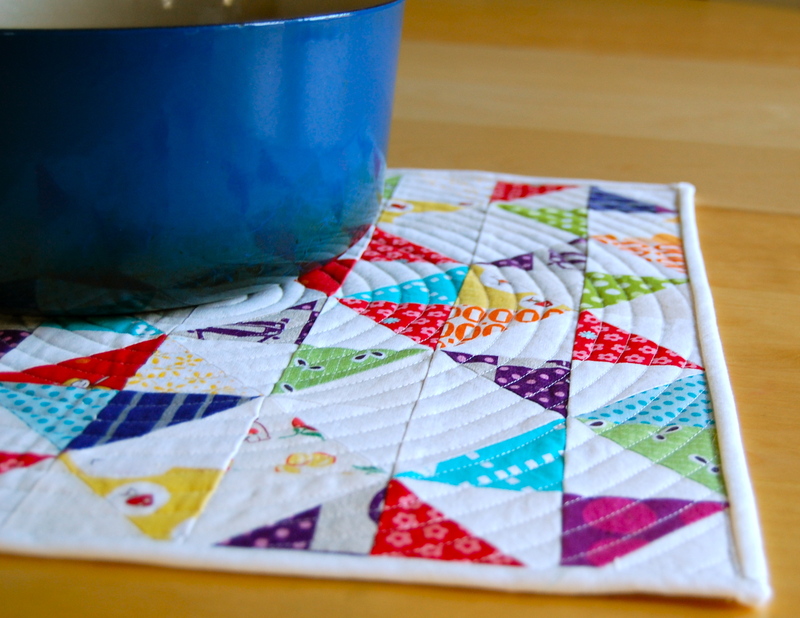 I often have HSTs leftover from making flying geese and wonder what to do with them. Now I know! 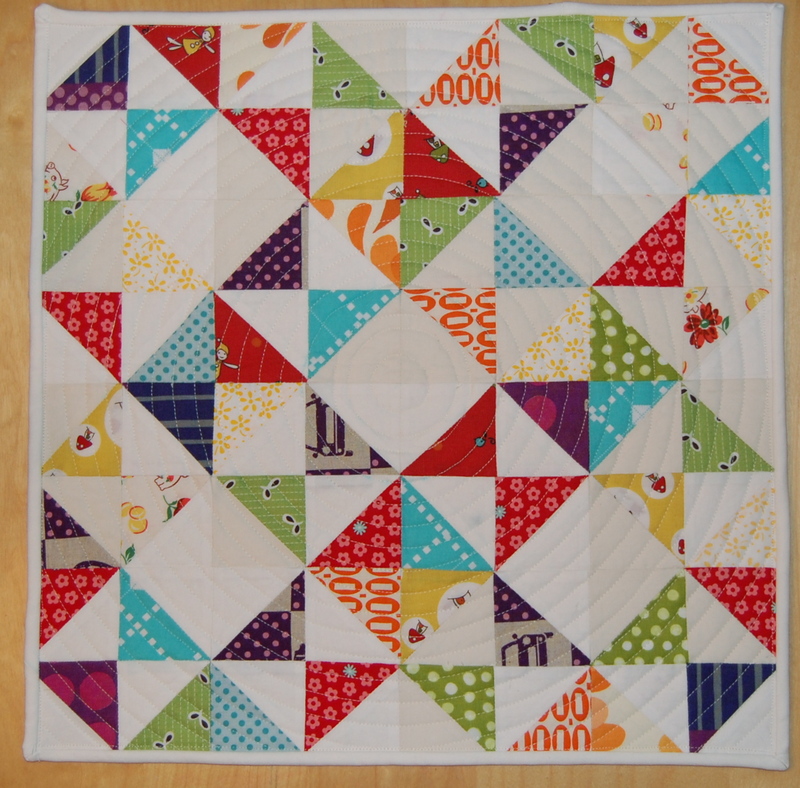 Love that circle quilting. Just too cute! And I love how you quilted it. Congrats on another finish.